Nantes is an important city in north-west France, located in the Loire-Atlantique department of the Pays-de-la-Loire region (not the region of Brittany as you might expect, despite the town previously being home to the Dukes of Brittany and being a capital of that region), on the confluence of the Loire and Erdre rivers. 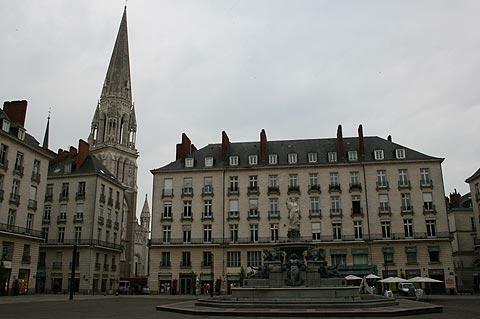 A lively and active university city - it is the 6th largest city in France - Nantes is a pleasant town ('Time magazine have voted it the most livable town in France') and is also a very interesting town: a visit is recommended if you are in the region. 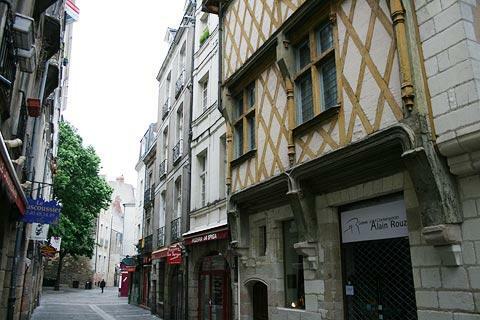 The heart of the town is the region around the castle - the Chateau des Ducs de Bretagne - and there is much to discover in the castle and in the streets that surround it. As with many cities of this size, the pleasure is as much in simply wandering the streets, discovering lost corners and people watching as it is in visiting the highlights. 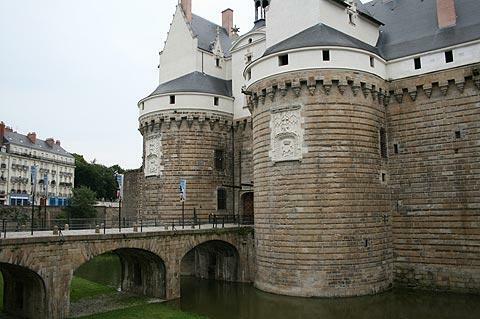 The 13th century Chateau des Ducs de Bretagne played an important role in the history of the region, culminating in the Edict of Nantes in 1598 that ended the terrible Wars of Religion in France. The castle includes both defensive elements such as the fortifications and towers that suround it, and more luxurious elements in the interior buildings - witness to its role as a residential palace. The buildings, set around the open courtyard within the castle walls, span a large period of history, from the 14th to the 18th centuries - hence they also incorporate a wide range of styles. 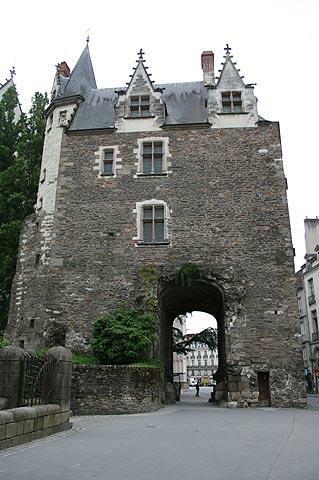 The highlights include the Grand Logis; the keep (donjon); and the extensive Museum of Nantes that is within the castle buildings. 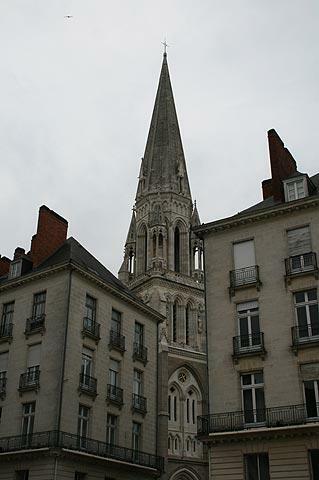 Taking 450 years to build, Nantes cathedral is found just north of the castle. 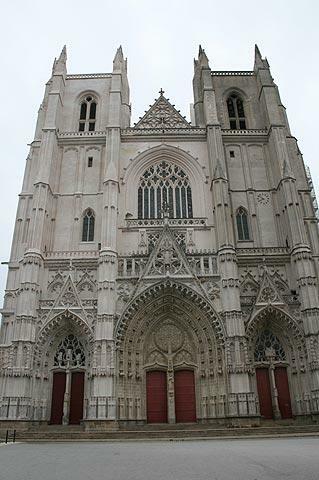 The cathedral is in the gothic style, and the facade has two large square towers either side of the ornately decorated entrance. The high interior is bright and light, with interesting modern stained glass windows. 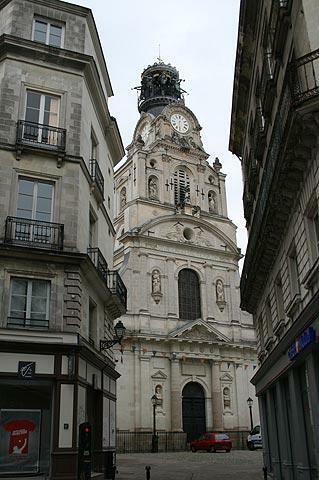 Be sure to see the marble tomb of Francois II and his wife, perhaps the highlight of a visit to the cathedral. If possible you should also try to see the cathedral in the evening when it is lit up and very attractive. Found north-east of the castle and cathedral, Nantes botanical gardens, the Jardin des Plantes, cover a substantial seven hectares (16 acres) and contain a very impressive range of plants, both in the gardens and in the tropical greenhouses. 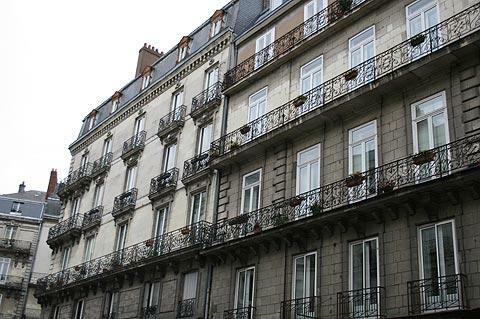 These gardens are certainly a highlight of a visit to Nantes, and very easy to access from the city centre. 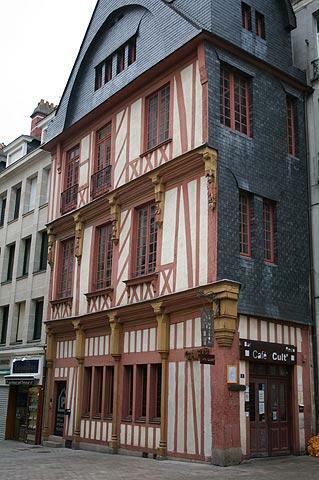 If you explore Nantes to the west of the castle you can see the architecture and buildings of both the cobbled streets of the medieval old town with numerous impressive half-timbered houses and the more recent (19th century) grand townhouses. 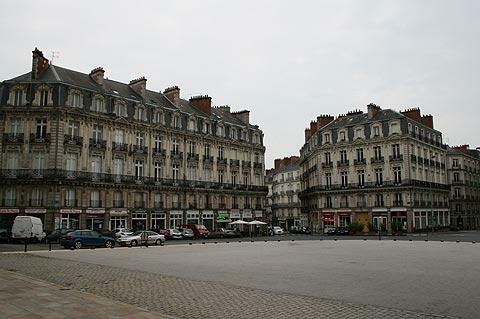 The region around and between Place Royale and Place Grasslin is the most interesting to visitors, and includes Rue Crebillon, the heart of the shopping centre of Nantes. 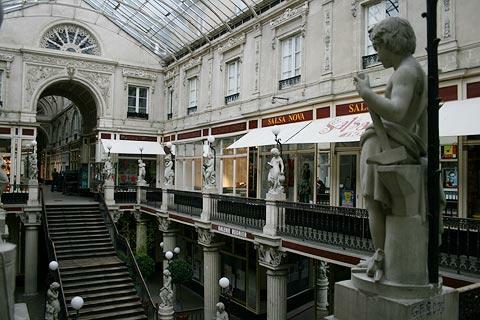 One highlight in the shopping centre is the Passage Pomeraye, an arcade of shops and art galleries with a glass roof, statues and stone columns. Some more of the impressive 18th century houses can be found along the Quai de la Fosse and along the Loire River banks. Next, cross the river for a look at the old biscuit factory - now converted into a trendy arts centre and bar. Be sure to go up the tower of the old factory for fine views across the city, and to see what performances or exhibits are currently showing. An extensive island in the Loire River, the Île de Nantes has been modernised and now has several modern buildings and interesting features that incorporate the tradition of the island (such as large cranes, transformed from 'heavy industry' to 'artistic statement'!) with the very modern (the building of the Law courts). A popular highlight is the enormous mechanical moving machines such as the 'Giant elephant'. Fans of Jules Verne will want to visit the museum based in the house where the writer was born to learn more of his life and inspiration. 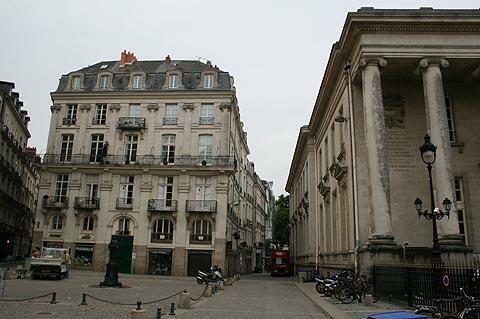 The Fine Art Museum in Nantes would be worth visiting just to see the architecture of the building that houses the museum. But be sure to enter! 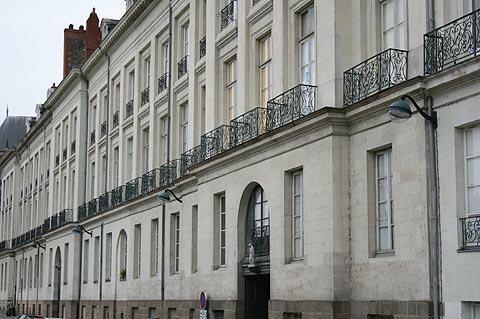 The art museum has an important collection of modern art, as well as a substantial collection of medieval and other paintings. Children will enjoy the extensive animal park at La Coulée du cerf, at 20 minutes from Nantes - pheasants, rare sheep, camels, cows, wallabies etc and plenty of space for picnics and to run around.